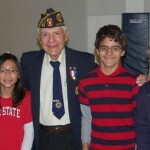 The fifth and sixth grade students at Letort Elementary met with veterans from different branches in October through the Adopt-A-Vet program. 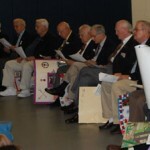 The veterans spent time with the students telling them about their experiences and answering questions. 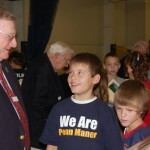 In November, the students met with the veterans again. 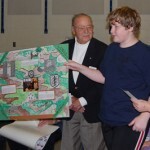 This time, the students honored their new friends with a patriotic Veterans’ Day program and presented the veterans with posters highlighting what they had learned from their assigned veteran.